Millions of people around the world do not have access to the medicines they need to treat disease or alleviate suffering. Strict patent regimes introduced following the establishment of the World Trade Organization in 1995 interfere with widespread access to medicines by creating monopolies that keep medicines prices well out of reach for many. The AIDS crisis in the late nineties brought access to medicines challenges to the public’s attention, when millions of people in developing countries died from an illness for which medicines existed, but were not available or affordable. Faced with an unprecedented health crisis — 8,000 people dying daily — the public health community launched an unprecedented global effort that eventually resulted in the large-scale availability of low-priced generic HIV medicines. But now, high prices of new medicines — for example, for cancer, tuberculosis and hepatitis C — are limiting access to treatment in low-, middle and high-income countries alike. 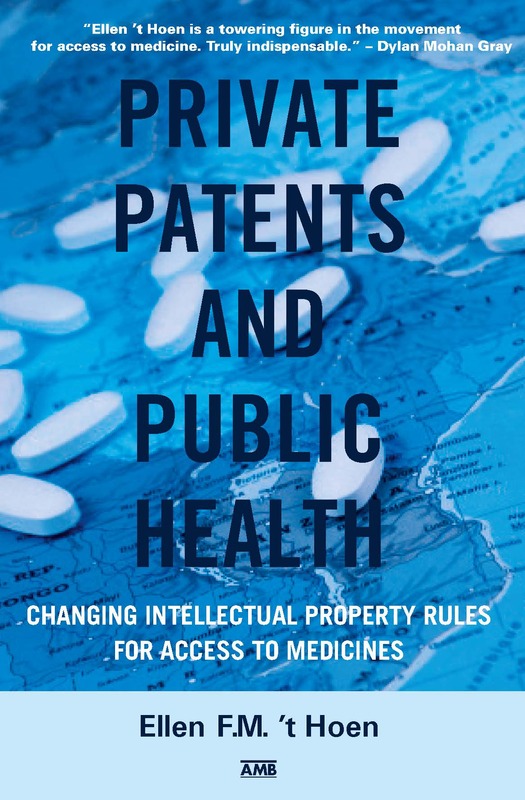 Patent-based monopolies affect almost all medicines developed since 1995 in most countries, and global health policy is now at a critical juncture if the world is to avoid new access to medicines crises. This book discusses lessons learned from the HIV/AIDS crisis, and asks whether actions taken to extend access and save lives are exclusive to HIV or can be applied more broadly to new global access challenges. Ellen ’t Hoen, LLM, is a public health advocate with over 30 years of experience working in pharmaceutical and intellectual property policy. 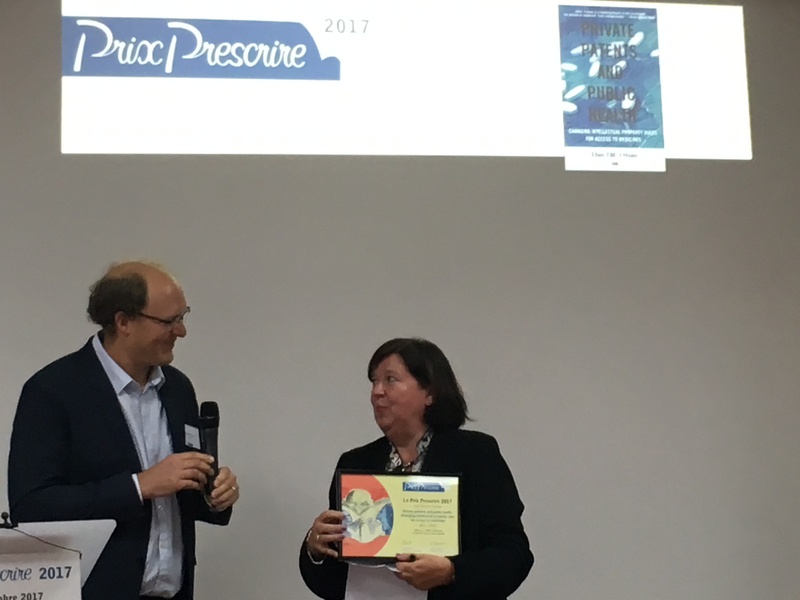 She was the head of advocacy at Médecins Sans Frontières’ Access to Essential Medicines Campaign for over a decade. In 2009, she joined the innovative public health financing organisation, UNITAID, based at the World Health Organization, to establish the Medicines Patent Pool for HIV medicines. Managing Intellectual Property named her one of the 50 most influential people in intellectual property in the world in 2005, 2006, 2010 and 2011. She is a member of the World Health Organization Expert Advisory Panel on Drug Policies and Management and a researcher at the University Medical Centre at the University of Groningen. She is the author of the book, The Global Politics of Pharmaceutical Monopoly Power: Drug patents, access, innovation and the application of the WTO Doha Declaration on TRIPS and Public Health (2009), and has published widely on health and intellectual property subjects in medical and legal journals. Will a public health approach to IP beyond HIV be possible? Millions of people around the world do not have access to the medicines they need to treat disease or alleviate suffering. Strict patent regimes interfere with widespread access to medicines by creating monopolies that maintain medicines prices well beyond the reach of those who need them. The magnitude of the AIDS crisis in the late nineties brought this to the public’s attention when millions of people in developing countries died from an illness for which medicines existed, but were not available or affordable. Faced with an unprecedented health crisis — 8,000 people dying daily — the public health community launched an unprecedented global effort that eventually resulted in the large-scale availability of quality generic HIV medicines and a steady scale-up in access to those medicines. This has allowed nearly 13 million people1 to lead longer, healthier lives. However, trends in international intellectual property law could impact many of the policy tools used to scale up HIV treatment. Developments in global health and specifically access to medicines policies are now at an important juncture. Impressive progress has been made in access to medicines for HIV and many lessons can be learned from that experience. But it is important to examine whether those lessons can be applied for other diseases. Today’s pharmaceutical patent regime affects almost all medicines developed since 1995 in most countries. The high prices of new medicines, such as for cancer, tuberculosis and hepatitis C, cause huge access challenges globally, in both developed and developing countries. These new global challenges pose the question of whether the public health approaches to medicines patents developed in response to the HIV/AIDS crisis are exclusive to HIV or whether they can be applied more broadly. 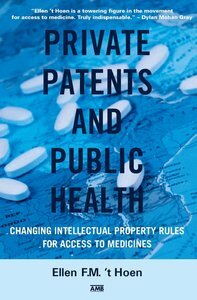 This book provides a history of the parallel developments in global public health and international patent laws: detailing the current situation, how we got here, and how we can move forward to best protect the future of medical innovation as well as the lives that will depend on it. health needs and not monopoly profits.